If you are in the market for something to really wow your guests at your toddler’s next gathering, then MJ Castles has what you are looking for. Newly available for hire is the magical Unicorn Ball Pool! The design almost brings to life the mythical unicorn so your child can feel as if he/she is right alongside it. Bring magic into your world with the hire of this bouncy castle for your child. It doesn’t matter what the excuse - birthday party, entertainment at a reception, or to liven up a boring Sunday afternoon - the MJ Castles’ Unicorn Ball Pool is perfect for any event. Whether it is inside or out, all you need is a space that is 6 feet wide by 8 feet long and you’ll completely change the party game for years to come. Your neighbors and guests won’t soon forget the fabulous event you hosted with the hire of this mystical inflatable! What Does Hiring the Unicorn Ball Pool Give Me? At MJ Castles we always make sure that your child is 100% safe while using our equipment so you don’t have to worry. Unless it’s about what kind of snacks to serve your guests! We take care of not just delivery and pickup, but also the setup and takedown of all the equipment! There will be no need for fumbling or trying to figure out how to put everything together. We take care of that all for you. That’s right! 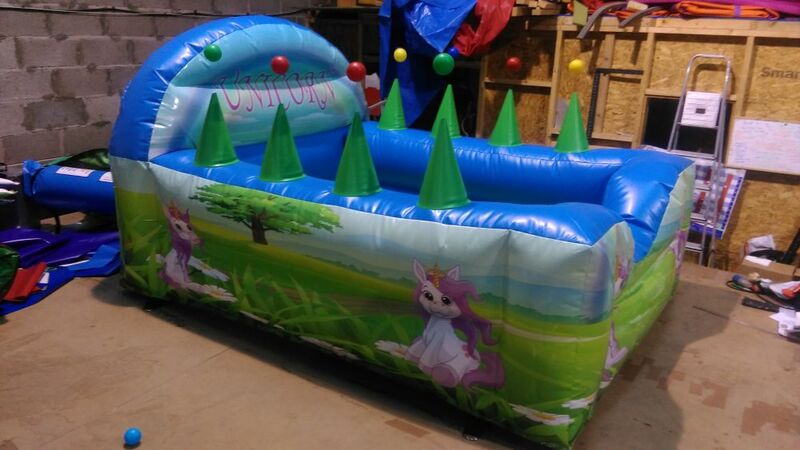 We make it as easy as possible for you to hire this fantastic inflatable so that your toddler can have the best experience with the Unicorn Ball Pool at his or her next party. How Do You Hire This Bouncy Castle?! 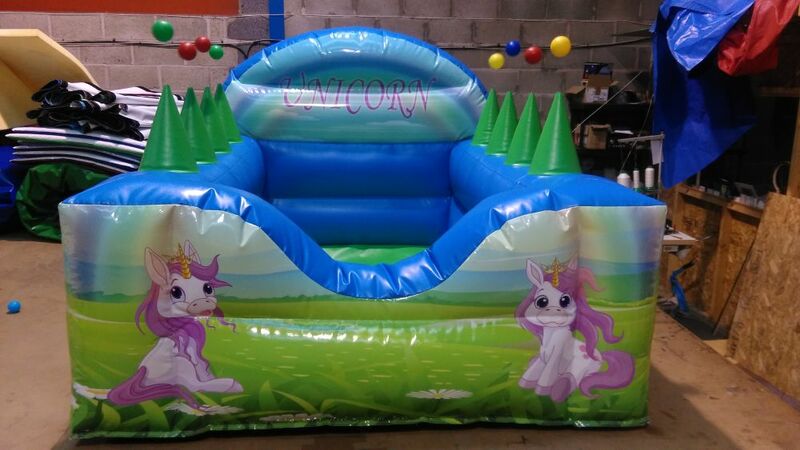 You can hire the Unicorn Ball Pool by itself, or create your own party package by hiring this with any other bouncy castle that we offer! Don’t hesitate to contact us with any questions you may have. We are always happy to discuss our castles and all the opportunities we offer! Give your child an experience that they will never forget by hiring this bouncy castle today. Bring some magic into your home with the addition of the Unicorn Ball Pool to your party entertainment list!